If you haven’t picked up Stevie Stone’s Strange Music debut, Rollin’ Stone, HipHopDX is giving you a sample of what you’ve been missing. Calling on Funk Volume’s own Hopsin and SwizZz, Stevie Stone’s “Raw Talk” is standout cut on Rollin’ Stone and gives listeners the rugged style they’ve come to love from the Midwest emcee. Turn it up, stand back, and smash your speakers to Stevie Stone’s “Raw Talk” featuring Hopsin and SwizZz. Don’t forget to cop Rollin’ Stone, available now! Click here to listen to “Raw Talk” on HipHopDX.com. 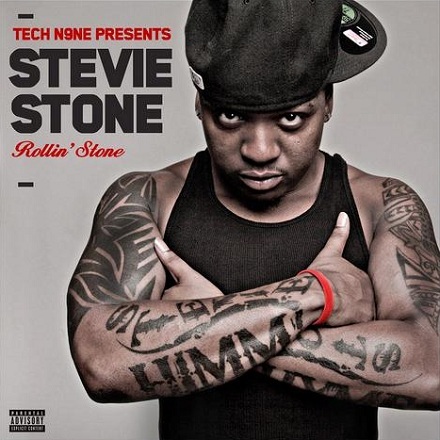 CLICK HERE TO PURCHASE TECH N9NE PRESENTS STEVIE STONE – ROLLIN’ STONE. Who spits your favorite verse on “Raw Talk”?